Thursday night’s victory over California State University, Fullerton 65-53 saw record-setting shooting for the Matadors and a push into the Big West Conference’ second-place spot. Senior guard Ashlee Guay secured her teams’ all-time scoring high with a 3-pointer landed in the last moments of the second half. That long shot, which marked 1,633 career points for the guard, not only secured a record but pulled her team in safer waters as Fullerton trailed closely. The Orange County team, despite being beat out by the then winless University of California, Santa Barbara Gauchos Feb. 21 managed to hold their own against last year’s champs. CSUN never held a lead greater than 13 points over Fullerton, and though they never gave it up, the Titans stayed on their heels the entirety of the game. The Titans came within four points near the last five minutes of the game but solid shooting from CSUN never let Fullerton’s push hurt. Fullerton, this season, proved a trouble team that’s been floating in it’s third-to-last conference standing for the past couple weeks. Though the Titans put down the Cal Poly Mustangs a few weeks ago, they handed over the Gauchos their first win Feb. 21. Cal Poly led the Big West earlier in the season before taking a series of falls and Santa Barbara stood as a placeholder as they racked up consistent 0-23 slump before finally beating Fullerton. With the victory over the Titans, the Matadors slid into second place which they now share with Cal Poly. 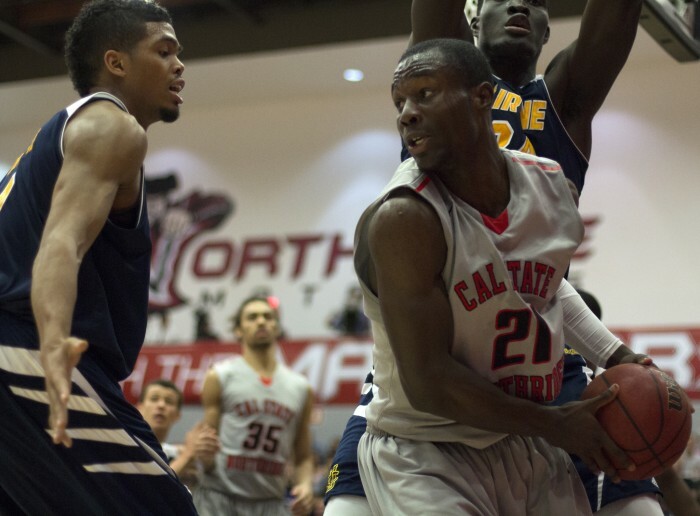 CSUN will face off against the University of California, Riverside Highlanders Feb. 28 in its second to last regular-season game. 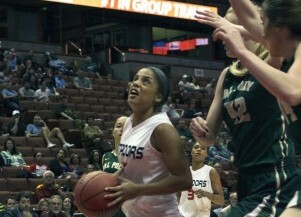 The Matadors were put down by Riverside, one of the fourth place Big West teams, Jan. 29, 68-56.